A wind of change is what the O’pen BIC has brought to the world of skiff sailing for kids. The hull of the O’pen BIC was designed with fun sailing as the priority. It is a modern boat where the hull is as open as possible, thereby leaving the helmsman completely free to move around and trim the boat to any wind and water conditions. When hiking, the large sides allow the sailor to set-up comfortably with his/her feet in the straps without placing any unnecessary stress on the body. The totally open and sloping cockpit means that there is absolutely no water in the boat either during sailing or just after a capsize. A relatively hard chine design was chosen for the bottom shape of the hull. Used by numerous modern boat architects, this design offers an excellent compromise between performance and stability. When reaching or broad-reaching, the boat accelerates quickly to planing speed. When close-reaching, the boat sets on its chine and has excellent performance up wind. The hull includes integrated carry handles for easy launching into the water and easy transport. 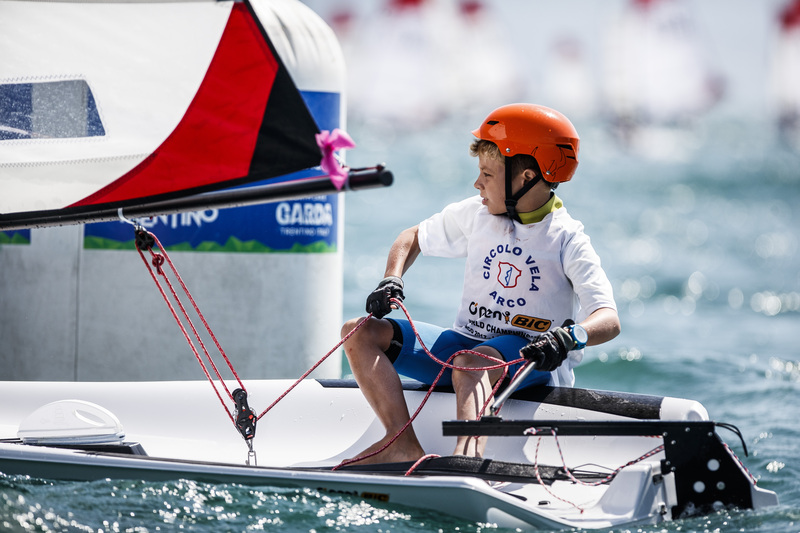 The aim of the International O’pen BIC Class is to provide an exciting format of international and national dinghy sailing for young sailors. The steady annual growth of the Events’ Calendar is proof that the Class’s formula of providing exciting race formats on an attractive boat is a great success. At present there are over 10 countries that have regular event calendars of national competitions, and the international World O’pen Cup is the pinnacle each year. The O’pen Cup event style is very original, with some highly innovative courses and race rules derived from funboarding, where races are short and quick, the course changes regularly and can include crosswind legs and freestyle moves or an adventure race, and protests are judged immediately out on the water so no racing time or effort is wasted! These improvements are in line with ISAF’s Introductory Rules of Sailing, and are quite a break from the last 40 years of «classic» sailing. O’pen Cups are a cocktail of fun and pure regatta racing, great for motivating our young sailors and keeping them hooked for life! More information on the Class rules and on the various regattas worldwide can be found on the Class website. The rig includes a fully-battened, 4.5m² mono-film sail with mast pocket, similar to that of a windsurf sail. Rigged on an epoxy mast, the sail has been designed with an open leech to give sailors maximum control and performance in windy conditions. The Cunningham tackle (6 threads + cleat) associated with the boom vang / boom safety attachment, allows sailors to trim efficiently the tension of the sail. The 3.8 m² dacron sail has been designed for clubs and can be rigged on the same mast and boom as the 4.5 m² monofilm rig. 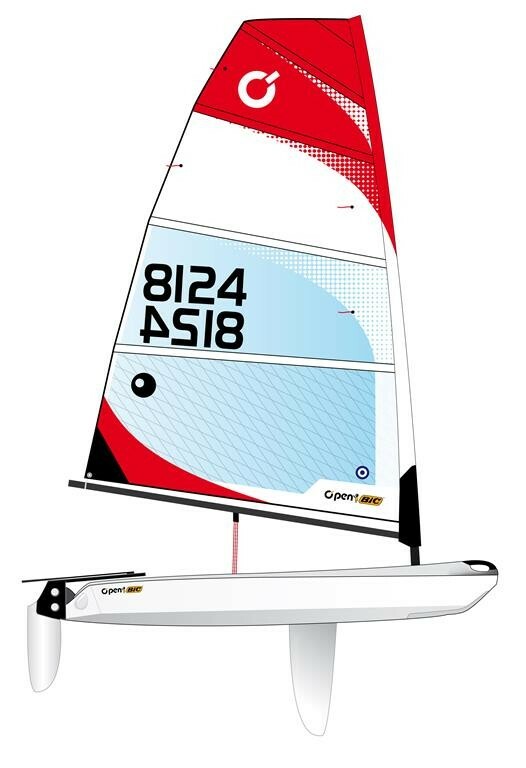 The O'pen BIC Breaks Away from "Classic Sailing"
For more than 8 years, a wind of change has been what the O’pen BIC has brought to the world of dinghy sailing for kids. 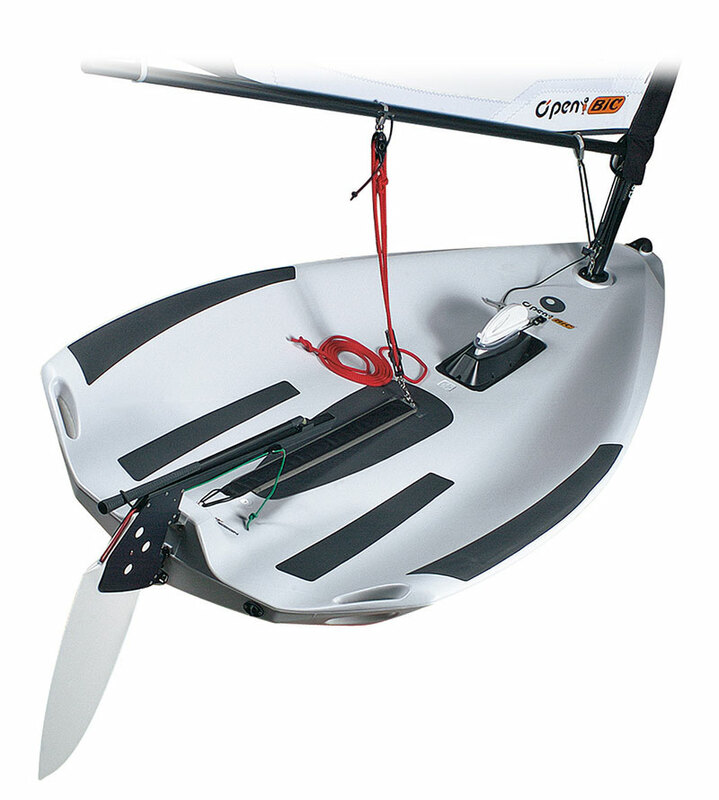 Designed specifically for kids, the O’pen BIC is a true glide machine for real excitement on the water. The O’pen BIC, with its modern and powerful rig, is a fast boat, quick to respond, self-bailing, and is fitted by the best marine hardware manufacturers. The O’pen BIC is THE link between the Optimist generation and the new generation of sailing dinghies. Launched in 2006, the O’pen BIC has already convinced more than 7000 young sailors around the world. They love the fun they can get out of it, its capacity to react fast and its prowess. 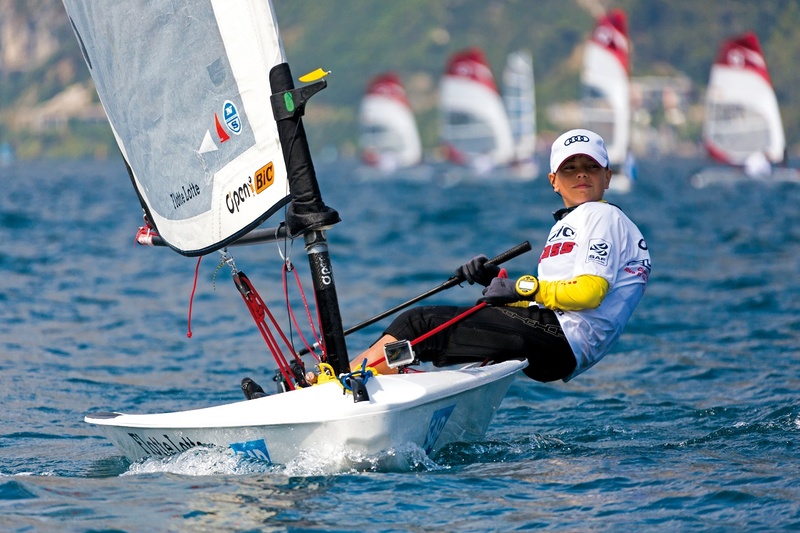 An ISAF international class association is also very active for those who enjoy competitive racing. 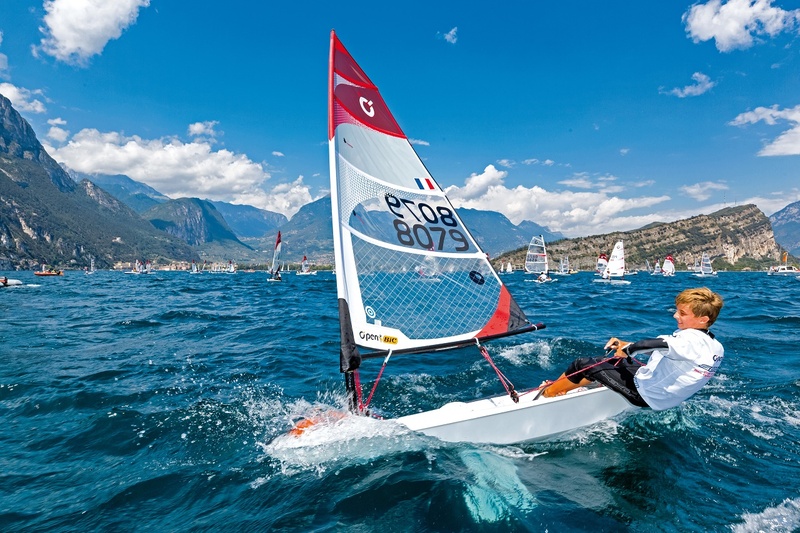 Racing enthusiasts benefit from an energetic international ISAF Class and from the motivation of many national federations who have selected the O’pen BIC for their clubs. 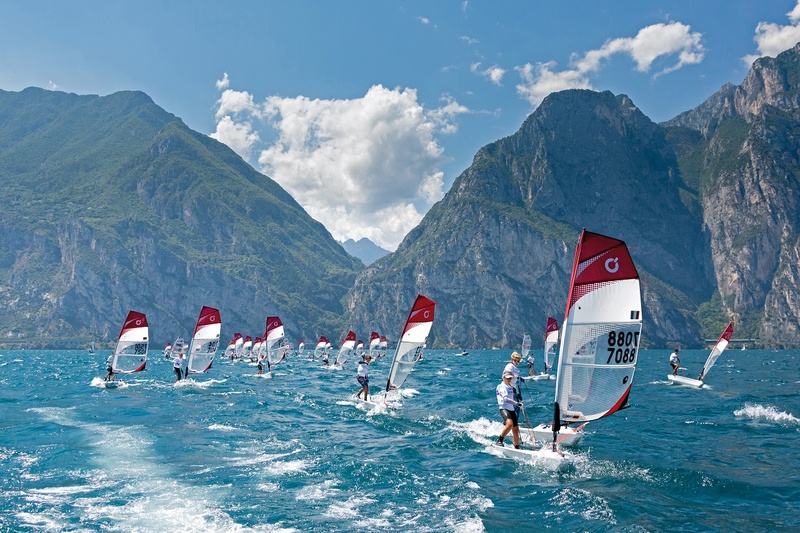 This enthusiasm and appeal for the boat can be witnessed from the success of the last World Cups on lake Garda in Italy and in Travemünde in Germany and from the many regattas that are organized every season around the world. In certain instances, some regattas at national level were able to organize very innovative race formats. The UN-Regatta in the United States of America and in Australia are the best example: they put together a cocktail of ingenious freestyle sessions as well as more standard-type regattas, all in a very festive atmosphere… The young racers really enjoyed! It’s a growing fleet with exciting prospects for the future. Hosting some of the best Regattas in the world with some of the most competitive fleet racing and the only class to introduce fun events such as the “freestyle”. There is now over 10,000 boats Worldwide Sailed in 15 different Countries. O’pen Bic strives to maintain its high standard of racing but also emphasises the “fun” factor into all its Regattas. O’pen BIC celebrated its 10th birthday in 2016, along with the production of its 8,000th boat. Designed specifically for juniors, our little dinghy has blown a big breath of fresh air through our sailing world, close to the new-generation skiff concept, very fast and very simple. 100% open, self-bailing, rapid and responsive, with an up-to-date versatile rig, the O'pen BIC offers kids a machine that delivers maximum fun while helping them learn the skills and reflexes to enjoy racing on current, high-performance equipment. Hundreds of sailing clubs around the world have opted for the O'pen BIC, for a new, fun way of teaching sailing to appeal to youngsters attracted to new sail sports. The O’pen BIC has also ruffled the feathers of the traditional race scene, with race formats and simplified rules that focus more on fun and improvement than just race results. 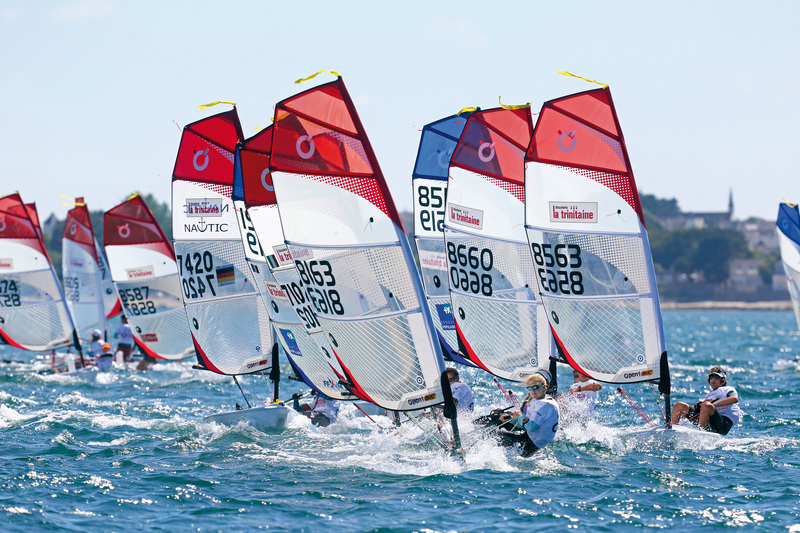 Innovative courses and rules, on-water refereeing, and even freestyle encourage participation and a variety of sailing skills. At international level, the class is more action-packed than ever, with an ever-increasing calendar of international regattas and events. This summer's World Championships in Quiberon, France, brought together 205 racers from 15 countries. Our best ever entry. 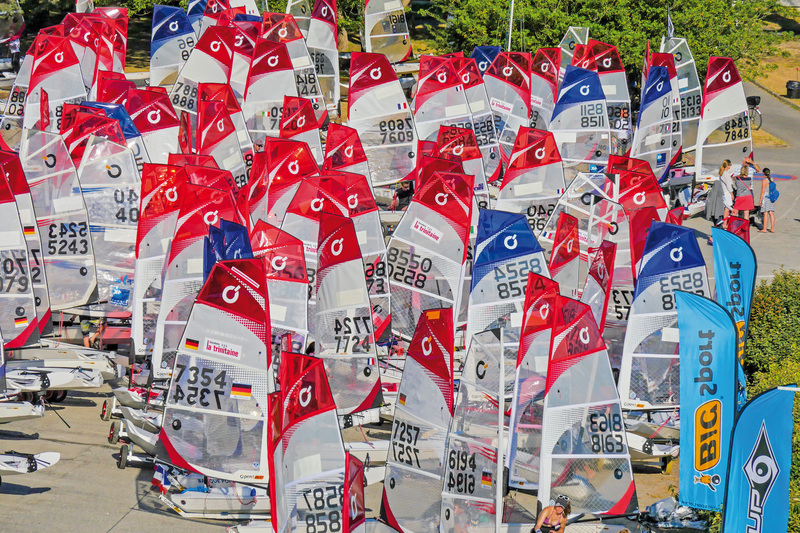 In our homeland of Europe there are more and more participants and competitions : many nations are seeing a rapid growth of O'pen BIC fleet and taking advantage of that dynamic to encourage more and more young converts to sailing. 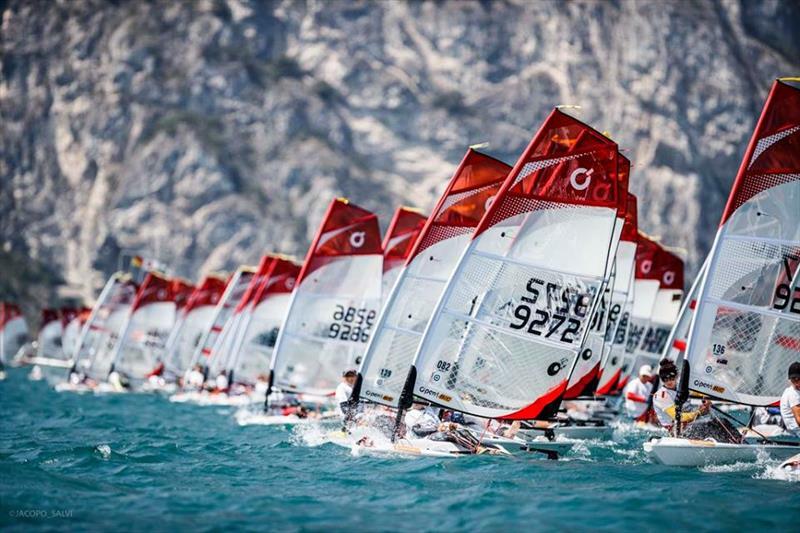 Some of the national championships offer a totally innovative take on competition sailing. UN Regattas in America and Australia are great examples, mixing a cocktail of anything-goes freestyle sessions with classic regatta racing, with the emphasis on fun as well as finesse. Look out for the O’pen BIC to show-case this innovative “Un-Regatta” format when thirty-two VERY lucky youngsters are selected for the America’s Cup Finals in Bermuda. O’pen BICs will be the half time show, broadcast world-wide, between Race #1 and Race #2 of the America’s Cup Finals, June 17, 2017. Is the O'pen BIC stable? Is the O'pen BIC easy to rig? Yes, there are no shackles or complicated rigging systems on the O’pen BIC. The O’pen BIC can be rigged and on the water in less than 2 minutes! With the boom already attached to the sail, you simply slide the mast up the luff pocket of the sail, attach the rig to the hull with the two snap hooks at the main sheet and Cunningham, tension the Cunningham with the pull handle and go! Is the O'pen BIC fragile? Can an adult sail in the O'pen BIC? Our testing, and the action photos and video of the O’pen BIC on our website, show that the boat is still stable with 2 kids onboard providing that their total weight does not exceed 90 kg.